Dr. Popowich grew up in southern Ontario, completing his undergraduate degree from the University of Western Ontario in London, Ontario in 1973. He then attended the University of Western Ontario Dental School obtaining his Doctorate Degree in 1977. Dr. Popowich then went on to do a post-graduate dental residency program at University Hospital in London, Ontario from 1977 to 1978. Dr. Popowich received his certificate in oral and maxillofacial surgery after successfully completing his surgical residency program at the University of Pennsylvania in 1981. He became Board Certified, receiving Diplomat status in Oral and Maxillofacial Surgery in 1986. 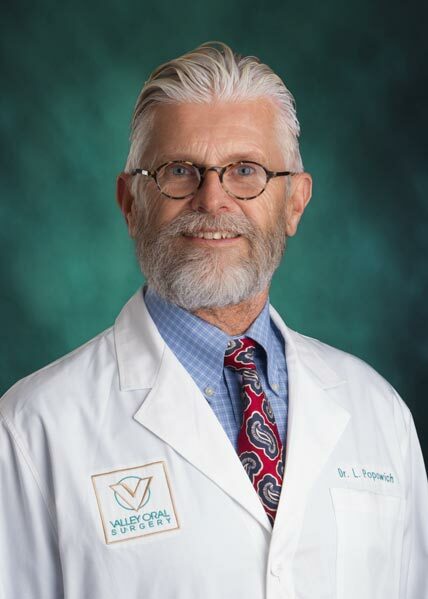 Dr. Popowich went on to hold a teaching position in conjunction with The University of Pennsylvania, at Geisinger Medical Center in Danville, Pennsylvania from 1981 to 1982. 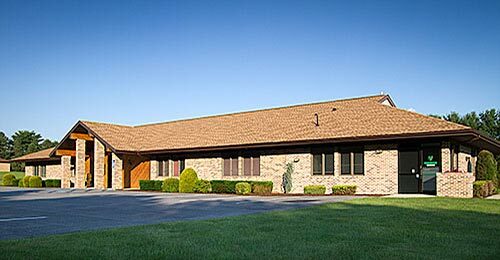 Since 1982, Dr. Popowich has maintained a full time private practice in the Lehigh Valley. In 1984, he and Dr. 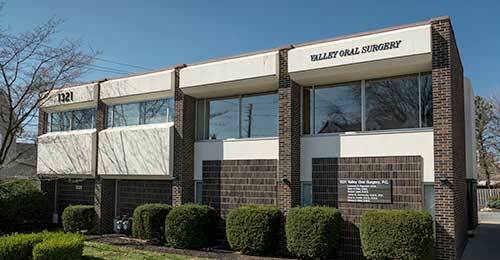 Grim merged their solo practices to establish Valley Oral Surgery, P.C. Dr. Popowich practices the full scope of oral and maxillofacial surgery, and his special area of interest is major reconstructive maxillofacial surgery; emphasizing comprehensive implant rehabilitation, bone grafting procedures for implant placement, PRP (plasma rich platelet) procedures, and also soft tissue procedures associated with implant dentistry. Dr. Popowich was one of the original group of oral and maxillofacial surgeons in the United States to be trained to surgically place implants. The training was provided by Dr. P.I. 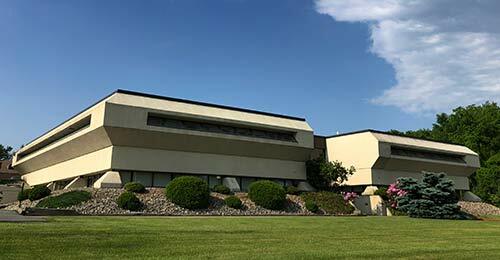 Branemark and his team, the innovator of dental implants worldwide. Dr. Popowich has received one on one mentoring from Dr. Branemark and maintains his relationship with Dr. Branemark through an international study group based in Spokane, Washington. Dr. Popowich is a member of numerous professional organizations, including the American Dental Association, The American Association of Oral and Maxillofacial Surgeons, The American College of Oral and Maxillofacial Surgeons, The America Academy of Osseintegration and is also Board Certified in the International Congress of Implant Dentistry. Dr. Popowich currently holds hospital appointments at Lehigh Valley Hospital Center, as well as St. Luke’s Hospital. Dr. Popowich maintains a teaching position at the University of Pennsylvania as an associate professor in the department of Oral and Maxillofacial Surgery. Dr. Popowich currently holds the position of Chief of the Oral and Maxillofacial surgical division at Lehigh Valley Hospital Center. Dr. Popowich has published numerous articles in his specialty and has also performed research in the field of temporomandibular joint disorders. Dr. Popowich continues to keep abreast of the latest technology and procedures by attending national meetings for continuing education, as well as being a cofounder of a local continuing education forum called The Valley Institute for Advanced Dental Education. Besides oral and maxillofacial surgery, his passions are his family, gardening, and the ever-challenging game of golf.